"Concerto Australiana" - Concerto for Jazz Trio and Orchestra, a 3-movement piece. 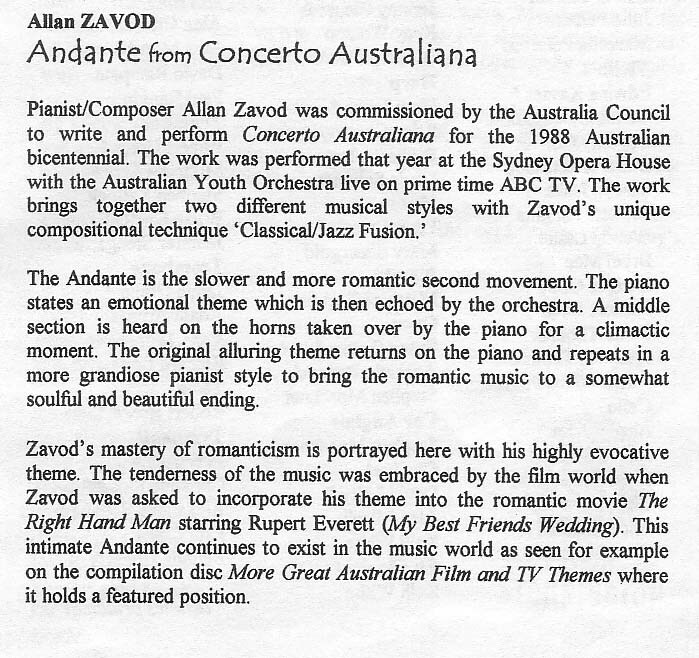 Allan Zavod performed the piano solo. 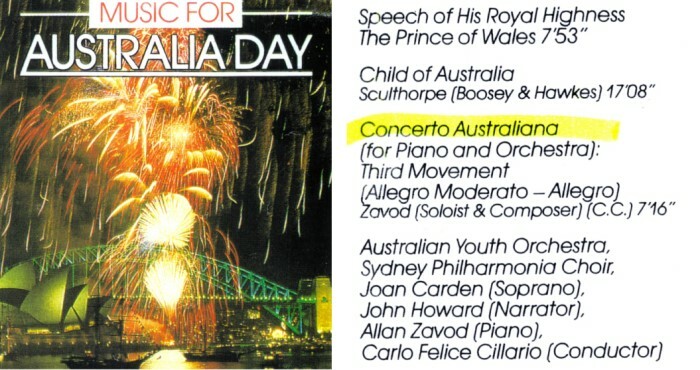 Allan Zavod was commissioned by the Australia Council to write and perform 'Concerto Australiana' for the 1988 Australia Day Bicentennial. 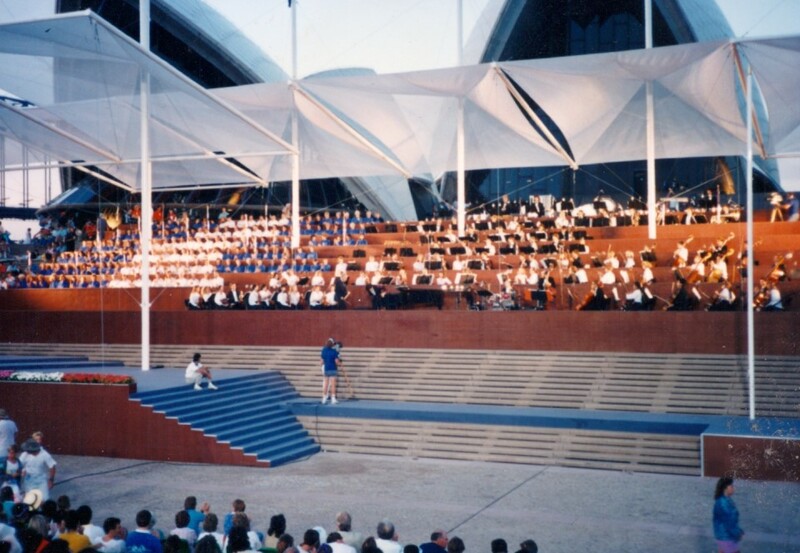 The work was performed at the Sydney Opera House with the Australian Youth Orchestra live on prime time ABC TV. 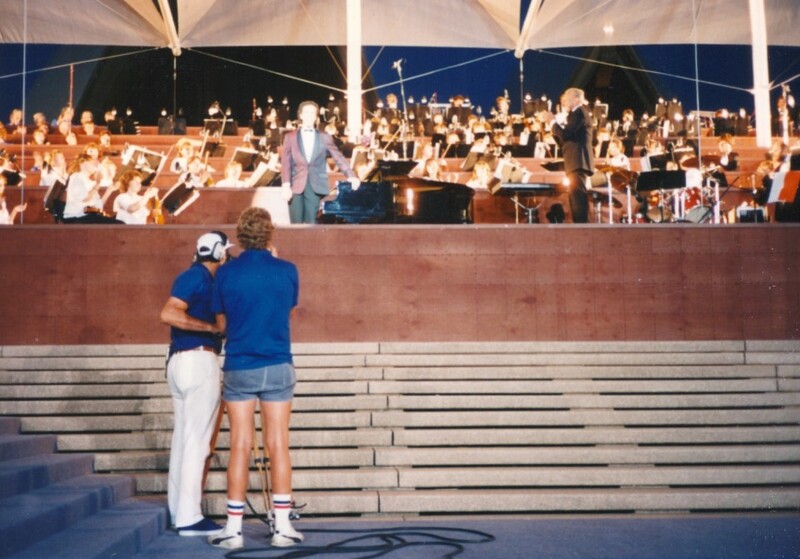 His Royal Highness Prince of Wales was in attendance.